Company culture. On the surface, it seems like an HR buzzword but when it's genuine, it can easily cement its place in the heart of an office within a growing company. In a nutshell, it's cultivating an unparalleled company culture is beneficial for keeping employees happy, making sure they're engaged, bought into the business, keeping retention rates high and making sure they're part of the blueprint that helps shape the company and its success. Turns out, we have a decent one at Digital 22. It's been a pretty successful couple of years for Digital 22. Perhaps the biggest sign of our continued success is the rapid rate in which the team is growing, going from 14 employees to over 30 in 2018 alone. We still remember the buzz and excitement in our old office at the start of 2018. We heard it was coming. But the agonising wait for around 20 of us at the time was finally worth it as we were officially awarded the Diamond tier status by HubSpot. Great, but what was next? Nobody really had the answers but when more success did come, boy did it hit us at once. Recently, we won a bunch of HubSpot awards, both for the way we've helped our clients and what we've done as an agency - primarily the HubSpot Partner of the Year Award for 2018 (which is still sinking in, to be honest). Then we successfully held our first-ever event in our brand new offices, LOVE INBOUND. 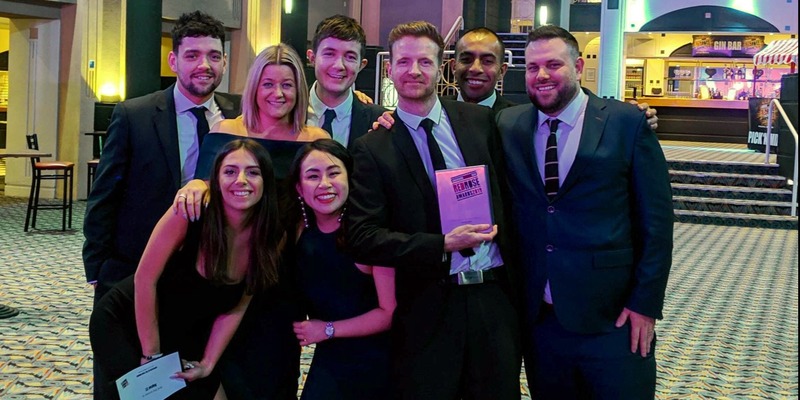 While we're immensely proud of our achievements which showcases that we're actually pretty good at inbound marketing, it's our Employer of the Year Award from the Lancashire Red Rose Awards which really hit home. 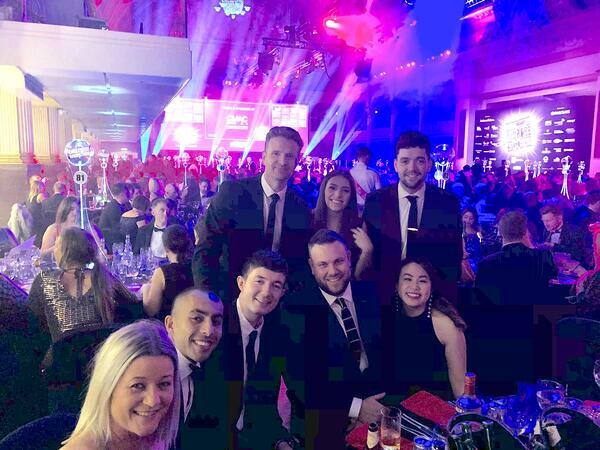 Away from all things marketing, it showed us that Digital 22 is genuinely a fantastic place to work, learn and grow. For us, it's a two-way street. We're the people that actually experience the culture and help to shape it to make it place that's enjoyable to work. Monthly awards for a spin of the prize wheel. Weekly L10 meetings to address challenges and improve as an agency. Weekly NPS surveys so we can all get our honest thoughts across. Access to educational materials and training course attendance (including an all-expense paid trip to Boston each year for HubSpot's INBOUND event). We could genuinely go on for a while about all of the amazing perks on offer at Digital 22. Rather than trying to cram them all here, why not check out the full list in our Employee Value Proposition? It'll give you a better idea of what the culture is like and the important role it played in helping us win this award. We have a work hard, play hard mentality. The entire team, from content marketers and strategists to designers and developers, is determined to produce the best work possible for all of our clients. As a reward for our continued success, the company wastes little time in celebrating both small and big wins. No celebration is ever really the same here, which is a good thing. From drinks in the bar downstairs to a day out at Chester Races. The company even flew us all out to Dublin for the weekend after our huge HubSpot achievement. Free. We didn't pay a penny. It's not just celebrations either. The company went above and beyond to provide us with a game-changing workspace - going well over the planned budget to give us an office we're proud of. "I think what they would have seen through social and everything else we're putting out is that the staff - actually it's real. They believe in it." Big screen TVs for regular FIFA tournaments and busting out the Super Nintendo. We have a fully-stocked beer fridge. We've got table tennis and a bespoke pool table. These are just some of the additions which shows the company actually cares. This isn't including how everyone goes above and beyond for birthdays, celebrations and even taking part in things like the annual bake off. It's not something a lot of other agencies or companies offer - something that many team members have stated several times based on past experiences elsewhere. In a matter of weeks, our colleagues are saying just how amazing of a place it is to work and the main theme that always pops up? Our impressive culture. "We're over the moon. Really pleased." Thankfully, the company is working hard to maintain that culture. We know the risks. At the rate we're growing and expanding, more and more talented individuals will join us. Based on our regular feedback and what we want from the company, the leadership team always looks for ways to maintain that culture and hire good-fit people that can add real value to Digital 22 yet be a great addition culture-wise. What really tells us as a team that we're more than just employees is the company's focus on promoting from within. They pay for our training, making sure we develop and move into new roles rather than instantly looking for more senior figures. This is just scratching the surface when it comes to what life is like at Digital 22 and why all of the team loves working here. It all contributed towards our Red Rose Awards victory - as you'll hear from the guys in the video at the top of this blog. "It was class. Loads of people there, loads of beer." We're just excited to see what the leadership team has planned for us next. At Digital 22, we're always taking strides in maintaining our fantastic culture. However, we're also on the lookout for talented individuals who want to join a tight-knit team and develop their career further. Video marketer, web developer, SEO marketer - these are just some of the roles we have available right now. If you want to keep learning and evolving with inbound marketing then you'll be a great fit. Check out the rest of the current vacancies below.